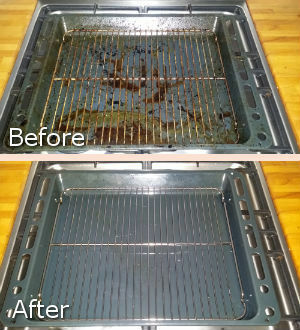 Want your oven degreased and looking like it’s in brand new condition? Try our oven cleaning services in Putney SW15 then! Our company provides the best oven cleaning in the area. Thanks to our high-quality services we are rapidly expanding and improving. Our technicians are qualified and trained to dissemble your appliance so that they can thoroughly clean and degrease each single part. They use only non-toxic and harmless detergents and products so that there’s no need to worry about your family’s health and well-being. The services we offer are speedy and efficient – you will have a perfectly clean oven after a few hours. We don’t want to brag but our company provides the most outstanding oven cleaning service in Putney. If you’re looking for efficiency and speed, we come second to none. Don’t waste time dealing with dirt and grease – contact us for information and appointments right now! Thanks to our employees’ excellent work, our company has become a household name. For years we’ve been cleaning ovens of all shapes and sizes and always apply the most suitable approach for each individual appliance. You can rely on our teams to come and clean your oven any day of the week as our teams are available even on weekends. Using only professional equipment and tools, our technicians always make sure the job is done properly. Many cleaning companies clean the appliances without dissembling them – the results are not so impressive. Unlike them, our experienced technicians are specially trained to dissemble any type of oven so they can degrease and clean every single part. This service includes degreasing of stove tops, oven walls and doors, frames and racks. You can also count on us to clean up your oven’s knobs as well as your hobs – it matters not whether they are ceramic, gas or electric. You can always book our team to return every month to maintain your appliance. The service we offer applies to both residential and commercial ovens. 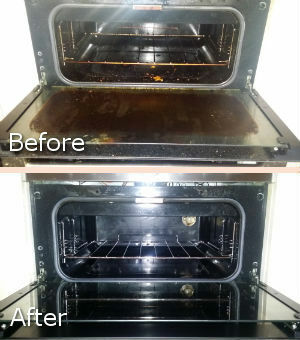 Book our oven cleaning service in SW15 Putney and you’ll never again have to deal with greasy ovens. You can request the service online or on the phone. Expect impressive results!